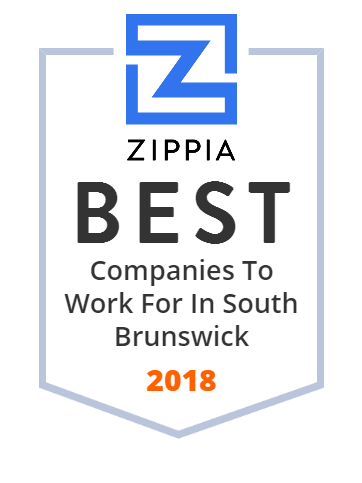 We hand-curated a list of the best companies to work for headquartered in and around South Brunswick, NJ using data on salaries, company financial health, and employee diversity. Antronix Inc. engages in the manufacture and distribution of broadband pipeline products for the broadcast cable television industry. It offers optical nodes, multi-taps, various line passives, subscriber passives and amplifiers, grounding hardware, in-house products, wire-seizing connectors, fiber optics, cable TV multi-taps, hermetically sealed electrical connection products, attenuators and connectors, dual compartment multi-taps, low pass filters, tools for shunting, cable clamping apparatus, auto-seizing coaxial cable ports, drop signal conditioning plug-in modules, eclipse contact technology F-ports, Sidactor surge protection products, and plug-in directional couplers. The company sells its products through a network of distributors and independent sales representatives in the United States. Antronix Inc. was incorporated in 1980 and is based in Cranbury, New Jersey with additional offices in Port Orange, Florida; Hatboro, Pennsylvania; Los Osos, California; and Memphis, Tennessee. Real Soft, Inc., a software solutions company, provides information technology solutions and services to Fortune-500 companies. It offers FirstContact, a communication tool that helps contact centers to manage multiple leads and campaigns; InstaAlert, an application for monitoring, alarming, and alerting business applications and processes; and AdminCentral for improving the utilization of IVR systems and speech applications. The company also provides ReportCentral, a Web-based tool that monitors voice platforms, such as IVRs, CTI and Web servers, ASR, TTS, trunks, routing clients, routers, and peripheral agents; SmartCallback for avoiding abandoned calls during the long wait times; OneManage for reducing the time and cost associated with deployment, maintenance, and enhancement of applications; and Universal CTI, an enterprise-level CTI messaging service. In addition, it offers AutoAttendant, a speech enabled solution for small and mid-sized companies to handle and route their incoming calls; StoreLocator for identifying nearest store based on the customer's location; AddressCapture for organizations to automate address capture from their callers; and Scheduling and Appointment Reminder(SetItUp!) for automating scheduling, re-scheduling, cancelling, and reminding clients of routine appointments. Further, the company provides application services in the areas of development, re-engineering, implementation and integration, support, and migration; database management services that comprise monitoring, administration, upgrades, patch deployments, replications, data loading, and performance tuning; and professional services, such as staff augmentation, speech prototyping, and training. It serves contact center and enterprise technology companies in financial, telecommunication, pharmaceutical, government, retail, and life sciences sectors. The company was founded in 1991 and is headquartered in Cranbury, New Jersey with an offshore facility in Bangalore, India.